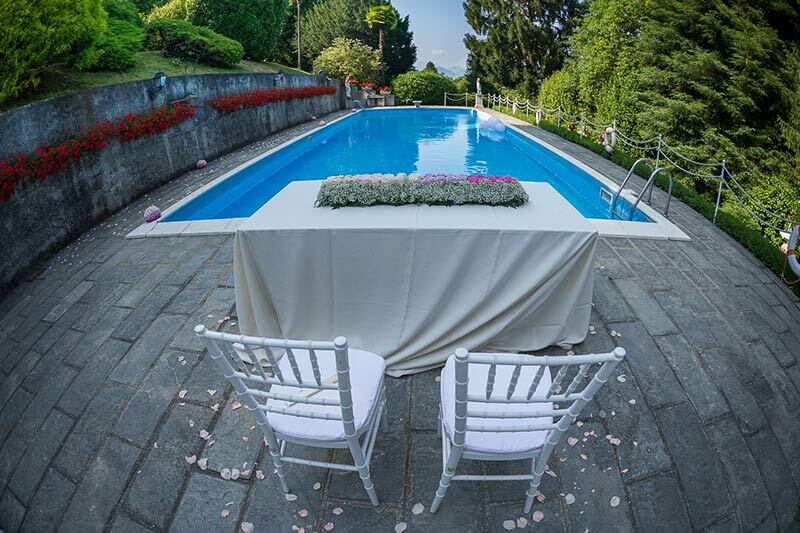 VILLA CLAUDIA DEI MARCHESI DAL POZZO is an important and exclusive Period Villa. 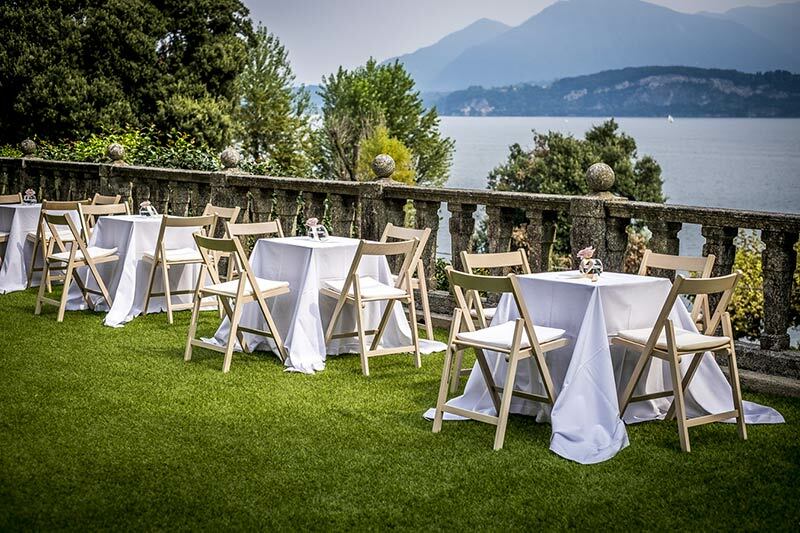 Villa Claudia dei Marchesi dal Pozzo is located Piedmonte side of Lake Maggiore. 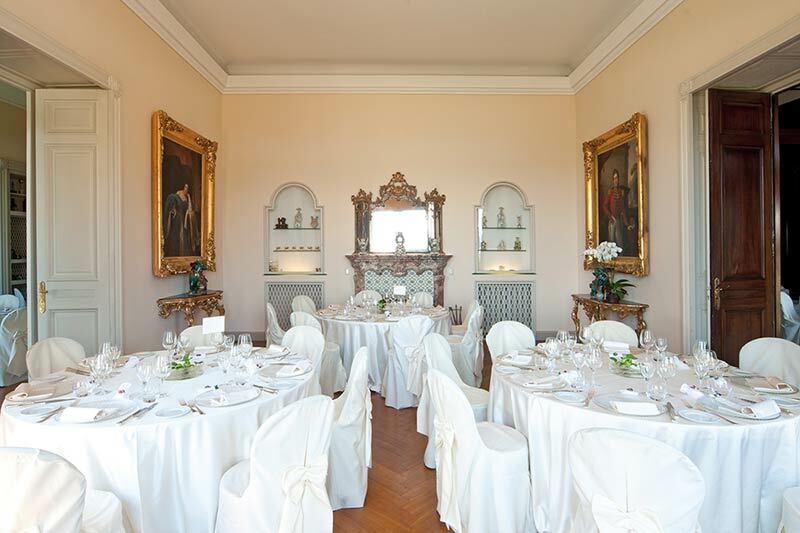 It was built to be a wedding gift to Princess Luisa Dal Pozzo della Cisterna back in 1827 by her husband to be. 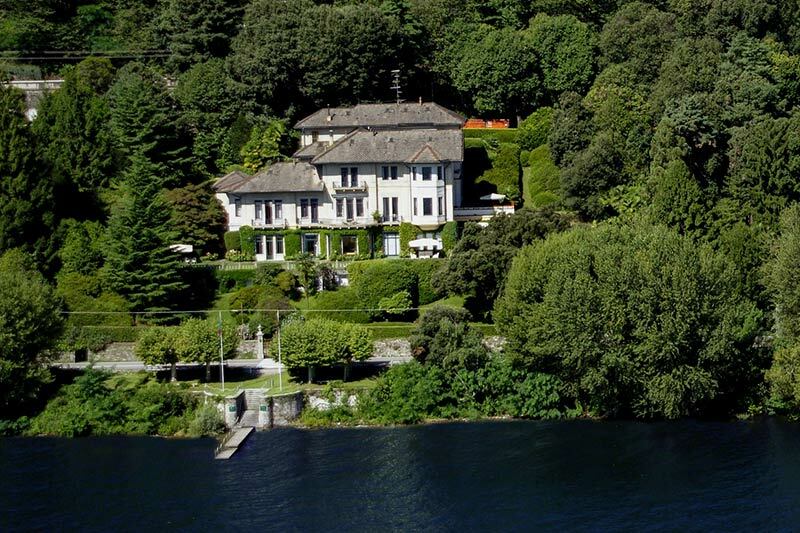 He wanted this amazing Villa to be their lake mansion . 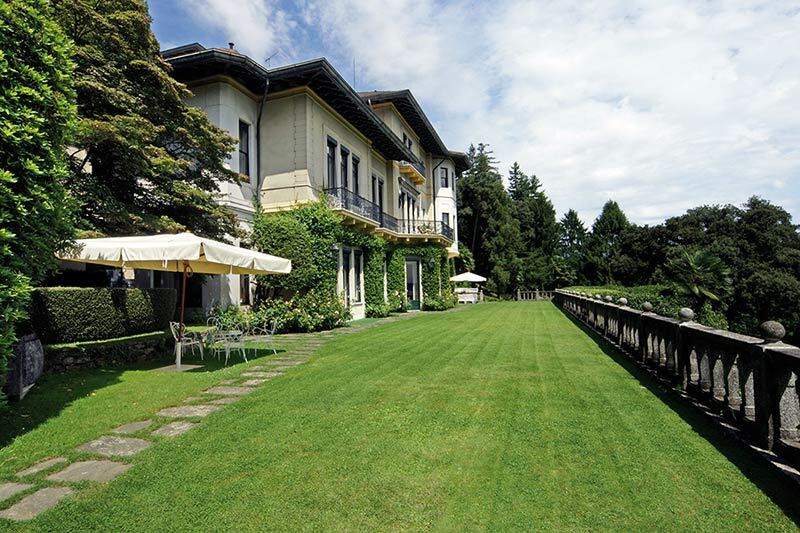 Villa Claudia belongs Marquis Dal Pozzo d'Annone from these days. 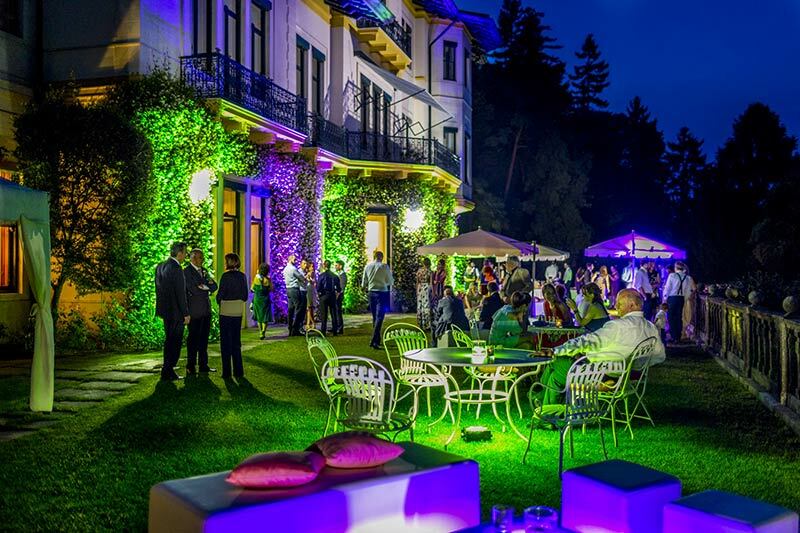 This charming and romantic venue is one of the oldest villas on the lake and it still preserves the appeal of Victorian Age. 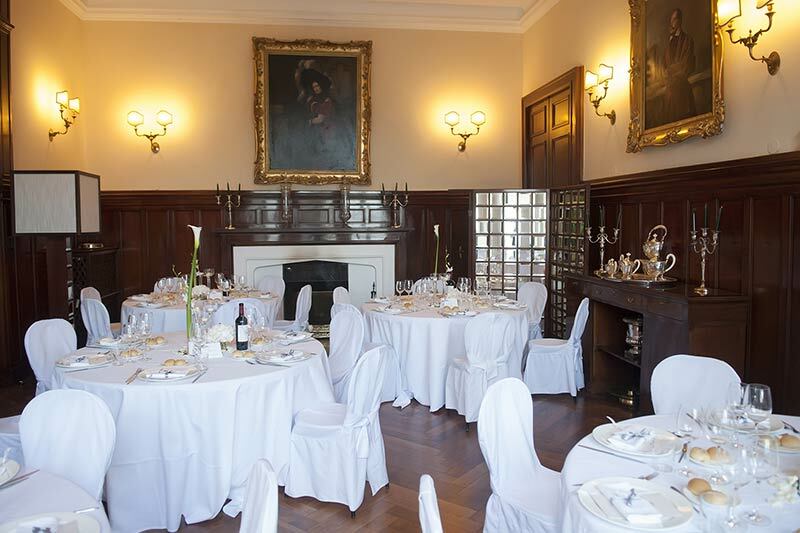 Antique Furniture, decorations and wonderful paintings from 16th to 19th century, make it a unique and authentic venue. 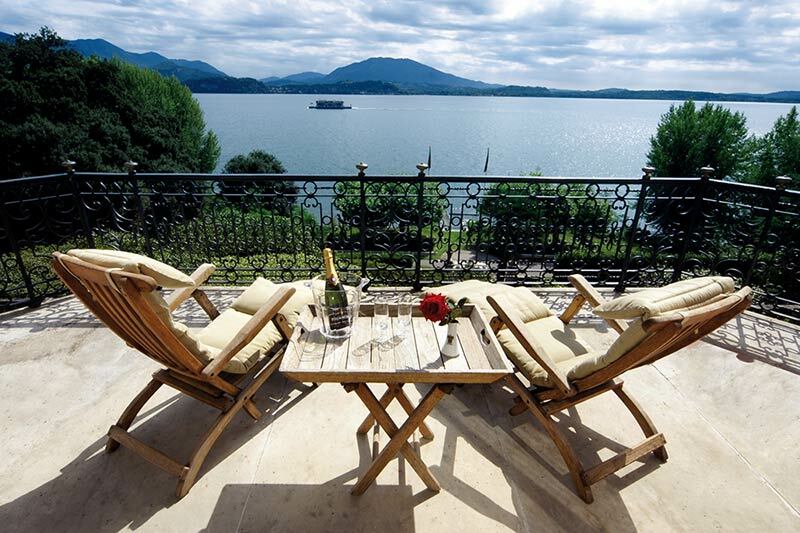 Villa view is stunning. 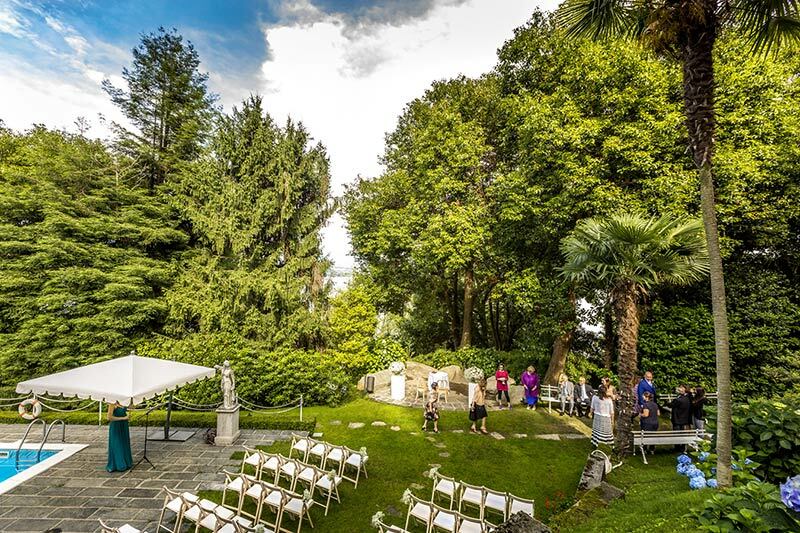 It is set right into a centenarian park with lush vegetation, rare and ancient plant species, waterfalls, azalea, rhododendrons, camellias, magnolias and hydrangeas bushes. 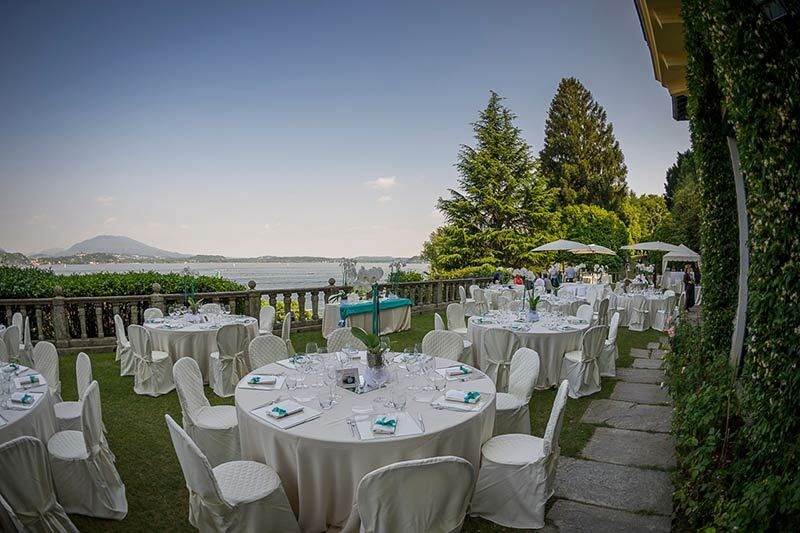 Villa Claudia Dal Pozzo is the perfect setting for unforgettable wedding receptions and parties. 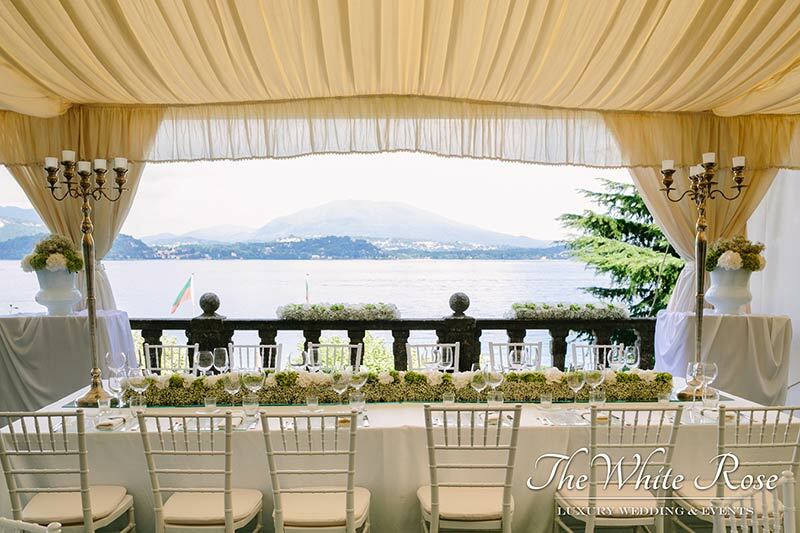 Four main halls overlook the terrace with a breathtaking view of Lake Maggiore. 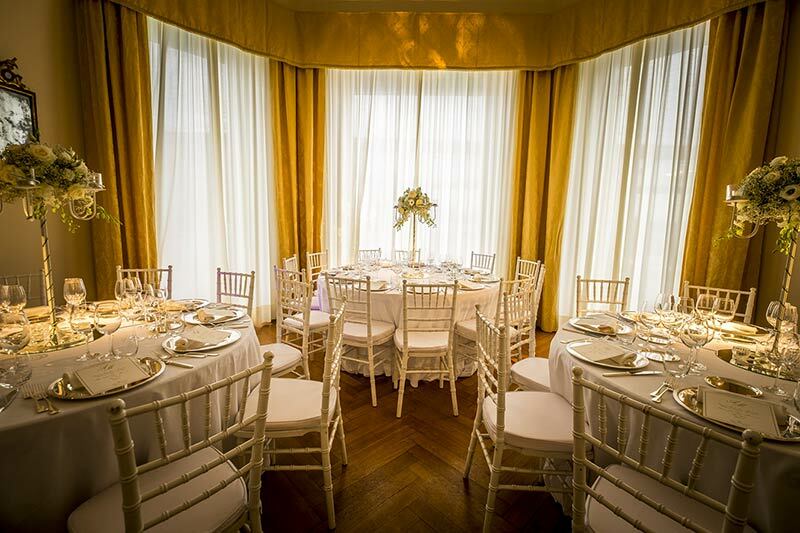 They can host up to 160 guests. 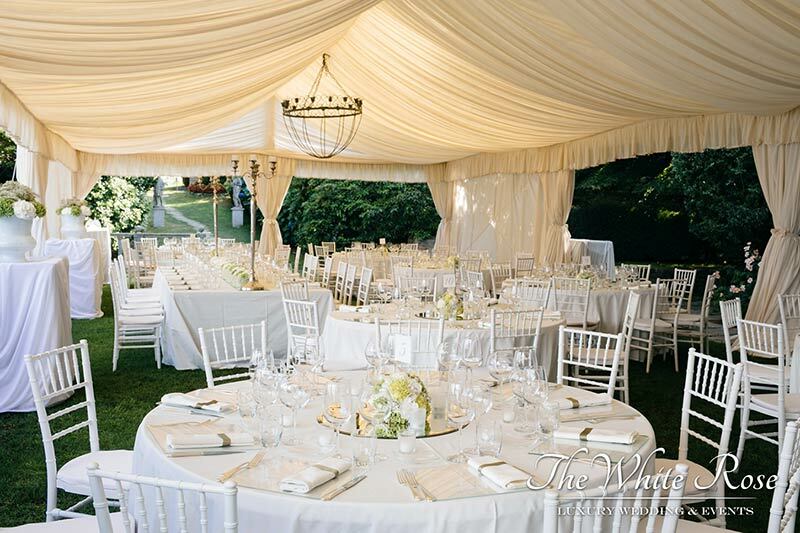 English-style terrace and lawn can host up to 250 guests. Large swimming pool area is ideal for a lovely cocktail reception or a relaxing after dinner celebration. 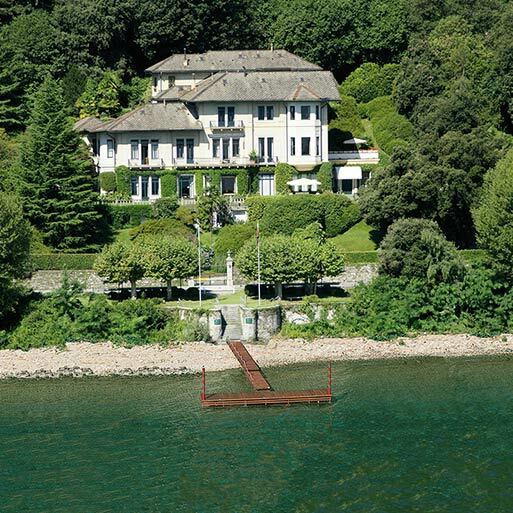 Private pier allows guests to reach the Villa from the lake with private boats. 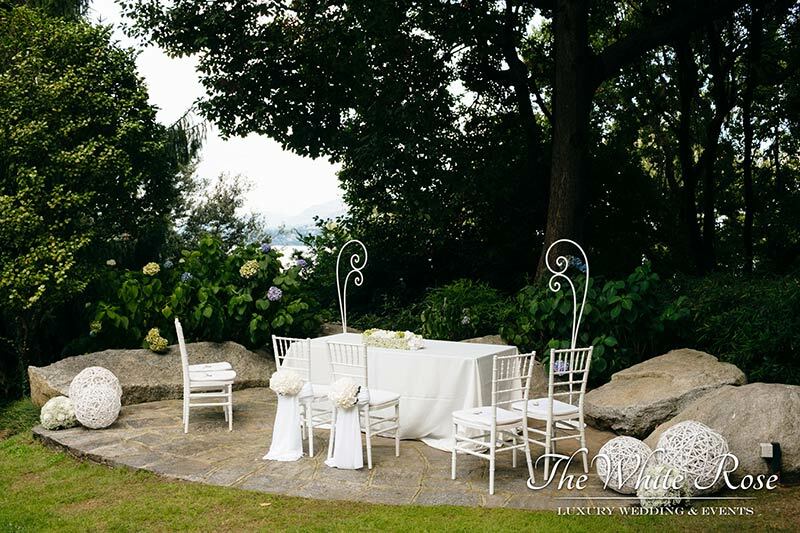 Villa Claudia allows legal civil ceremony inside every day of the week. 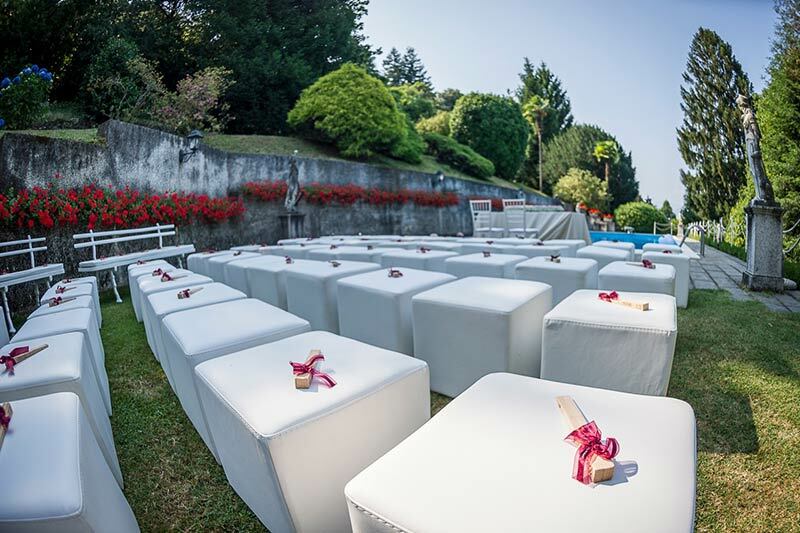 The ceremony can take place inside the Villa, outdoor in the gardens or near the pool. 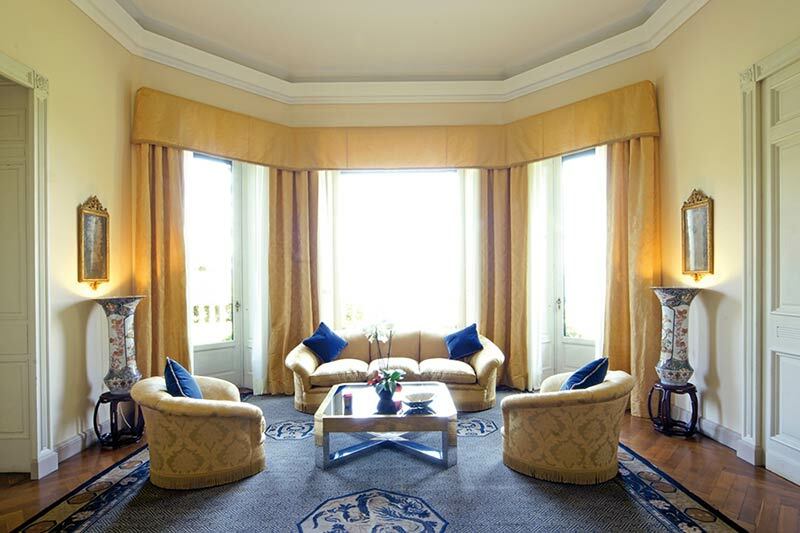 Villa Claudia has also six stunning suites with beautiful lake view.